The UAE has put a strategy in place to build a sustainable infrastructure for generating power through renewable energy. Oil and gas have traditionally been the predominant source of fuels powering the UAE however, the UAE is transforming the way in which they utilise the energy mix, with the ‘Energy Strategy 2050’, the goal is to provide the country with clean energy, precisely, 7% of Dubai’s total power productivity by 2020, steadily increasing to 75% by 2050. GCC countries have come to the realisation that they cannot only rely on oil sources alone long term especially with the fast growth of the region. Therefore the GCC are strongly investing in renewable energy to achieve set out targets by 2030-2040. The ‘Energy Strategy 2050’ is inline with the ‘UAE Vision 2021’ to inevitably create a sustainable environment by reducing carbon footprint, increasing air quality and adopting clean energy. The overall goal of this strategy is to increase the usage of clean energy from 25% to 50% by 2050, to reduce carbon footprint by 70% and to increase energy consumption by individuals and businesses by 40%. The UAE government is investing over AED 600 billion by 2050 to ensure that this strategy is implemented and predicted goals are met. Currently the worlds largest concentrated solar plant is being constructed in Dubai amongst a multitude of other projects under construction or in the pipeline; this will make the UAE the third in the world for production of concentrated solar power. 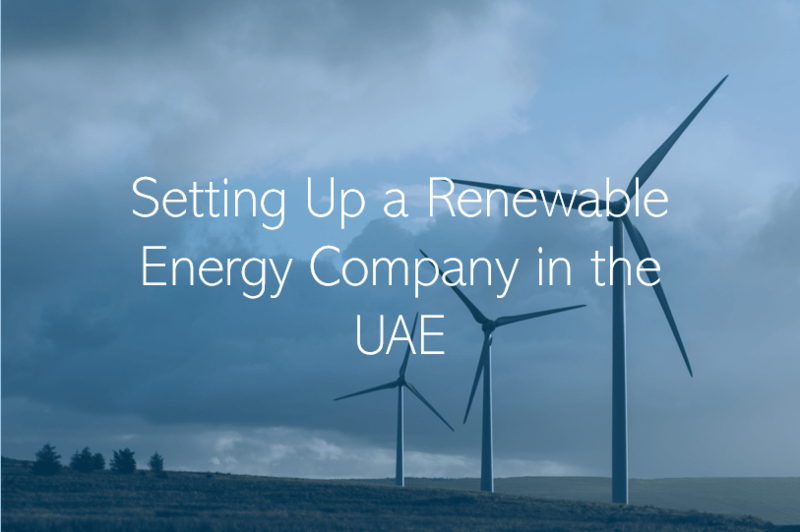 Where can you set up a company in the Energy Sector in the UAE? Masdar City Abu Dhabi: Located a short distance away from Abu Dhabi International Airport, Masdar City is a booming clean-technology business hub. Setting up a business within this freezone offers entrepreneurs a wealth of benefits to include 100% foreign ownership as well as exemption from corporate taxes. Dubai Multi Commodities Centre (DMCC): A government entity established in 2002 to enhance commodity trade flows through Dubai. DMCC is the dedicated global centre for more than 14,100 businesses from a wide range of industries and sectors. There are many advantages which DMCC offers to businesses who are setting up in the UAE. Dubai Silicon Oasis (DSO): Established in 2005, Dubai Silicon Oasis (DSO) is a technology park with an integrated community, DSO is a 100% government-owned freezone which facilitates and promotes modern technology based industries. Many incentives and benefits are provided to companies operating within the freezone. Mainland: Mainland licenses can bring companies a wealth of benefits including, flexibility to do business anywhere in the UAE, an unlimited number of visas in addition to exemption from business &/or personal taxes plus many more advantages. A company looking to set up a mainland licence in the UAE have several formation options to choose from, these include: Limited Liability Company, Branch and Commercial Agency. There are certain factors which affect the cost of a mainland license; the nature of the activity and licence required; whether it is commercial, industrial or service-oriented and the legal form of the company. 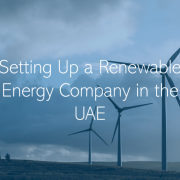 The process of setting up a renewable energy company in the UAE is arguably complex, and as such it is advisable to seek professional advice. PRO Partner Group is experienced at guiding companies through the required procedure to complete their classification, so that they are ready to operate safely and legally as quickly as possible.